If Colorado’s big-game seasons were a football game, we’d be halfway through the first quarter. Muzzleloader season just ended (but keep your muzzleloader out for rifle seasons, if you choose) and bowhunting continues until Sept. 25. If you haven’t ventured afield yet, there are still over-the-counter licenses available. Time to get in the game. A woman shoots an arrow at a 3-D target at Barr Lake State Park . Photo by Jerry Neal/CPW. Whether you’re an aspiring archer who is looking to purchase your first hunting bow or a proficient target-shooter who is ready to take aim at your first big-game hunt, one of the best ways to expedite and shorten your learning curve is to seek advice from experienced hunters. In this Colorado Outdoors Online blog post, some of Colorado’s top bowhunters, both within Colorado Parks and Wildlife (CPW) and throughout the state, share their hard-earned wisdom and experience. They offer advice on selecting archery equipment and clothing, share shooting tips and techniques and touch on the inspiration that fuels their passion for hunting with a “stick and string.” Best of all, they all bring a real-world perspective to help you experience greater success in the field. Combined, these men and women have more than 270 years of bowhunting experience. And if experience is truly the best teacher, these seasoned bowhunters have learned much and have much to share. Bowhunter Mindy Paulek poses with a large, tom lion that she harvested near Durango, Colorado on Feb. 4, 2014. 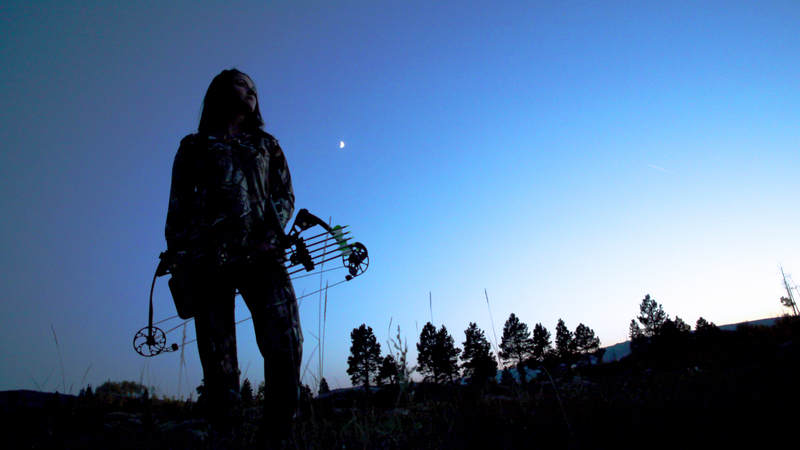 In addition to this mature lion, Paulek has taken record-sized bears and mule deer with her bow. Calling mountain lions “elusive” is a radical understatement. It’s as if the ultra-secretive cats are equipped with cloaking devices that allow them to remain nearly invisible in their surroundings, while leaving behind only vague clues of their presence. In fact, relatively few people will ever catch a glimpse of a mountain lion in the wild, and most are perfectly happy to keep it that way. But, for bowhunter Mindy Paulek, seeing mountain lions became an almost routine experience. Finding and harvesting the “right” mountain lion, however, turned into a monumental challenge for the archer—one spanning three years and hundreds of miles in Colorado’s backcountry. Fortunately, challenges are nothing new for Paulek. The 30-year-old Durango resident has amassed an impressive hunting resume, harvesting bears, deer, elk, wild hogs and bobcats — all with her Mathews compound bow. She’s also bagged kudu, bushbuck, springbok, wildebeest and jackals in Africa. But three years ago, Paulek set her sights closer to home on the one animal that had eluded her: a tom cougar. Colorado archer Mindy Paulek. Photo by © Jerry Neal/CPW. Colorado’s archery season may be four months away, but practicing your shooting skills should be a year-round discipline. In this video, hunter education instructor Jim Gilmore demonstrates the proper form for shooting a compound bow. Although shooting techniques may vary slightly among archers, following these basic fundamentals will ensure that you develop consistency and accuracy in your shooting. 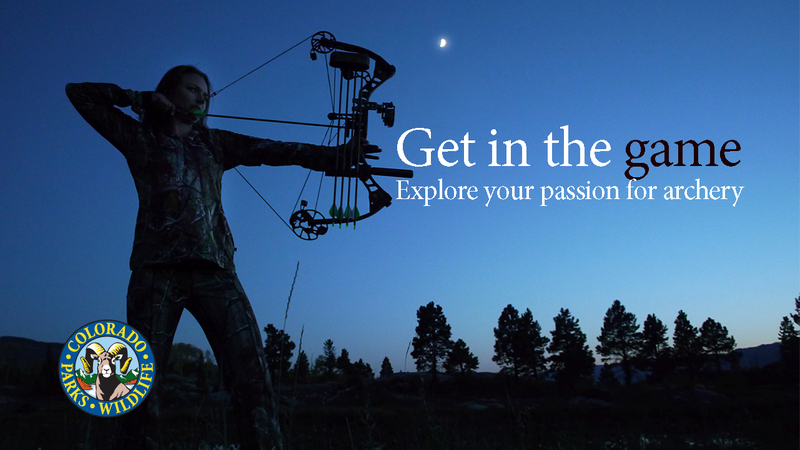 For further information about Colorado’s archery-hunting opportunities, purchase the 2012 Colorado Outdoors Hunting Guide. This issue features “Archery Advice,” an in-depth article with tips and strategies from some of the state’s top bowhunters. Included is advice on selecting bowhunting clothing and equipment, shooting techniques and tips to make your big-game hunt more successful. To order the 2012 Hunting Guide, back issues or to purchase a yearly subscription to Colorado Outdoors, call 1-800-417-8986.